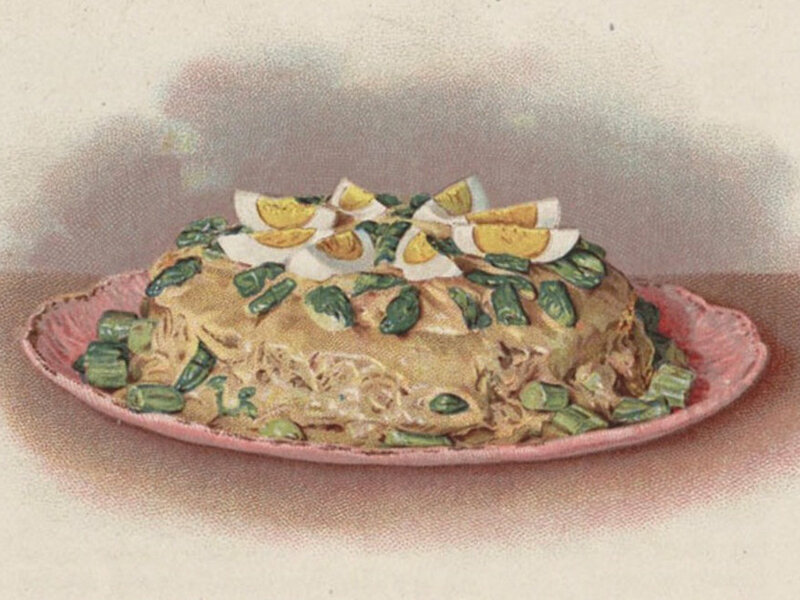 "Asparagus Shortcake," a leftover creation from The Cook's Book published in 1908. 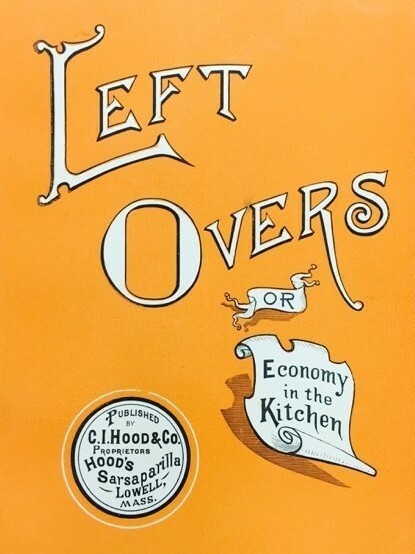 The cover of Left Overs, or Economy in the Kitchen, published in 1918. A leftover recipe from the early 20th century. From floating old food in Jell-O molds to casseroles to cold pizza, the way we reuse and eat leftovers in America is special. And it turns out that if you track our relationship with leftovers over time, you will understand a lot about our economy and how we live. Historian Helen Zoe Veit wrote about this for The Atlantic. As she tells All Things Considered&apos;s Kelly McEvers, it all started when she spotted a book called What To Do With The Cold Mutton. "It acknowledged that leftovers were something that people were dealing with, and, in fact, what that made me think was how rare it was to be acknowledged, precisely because it was so normal," says Veit. As Veit writes, Americans&apos; enthusiasm for leftovers really started during World War I, with people hearing about starving kids in Europe. Then, in the Great Depression, reusing food because a necessity. "That was really a time when leftovers were held up as a special culinary category for the first time," says Veit. "For one thing, it&apos;s something you had to do to stay within the family budget, but also as something that could be a realm for art and creativity — that clever housewives could use to show off their skills, in a sense." 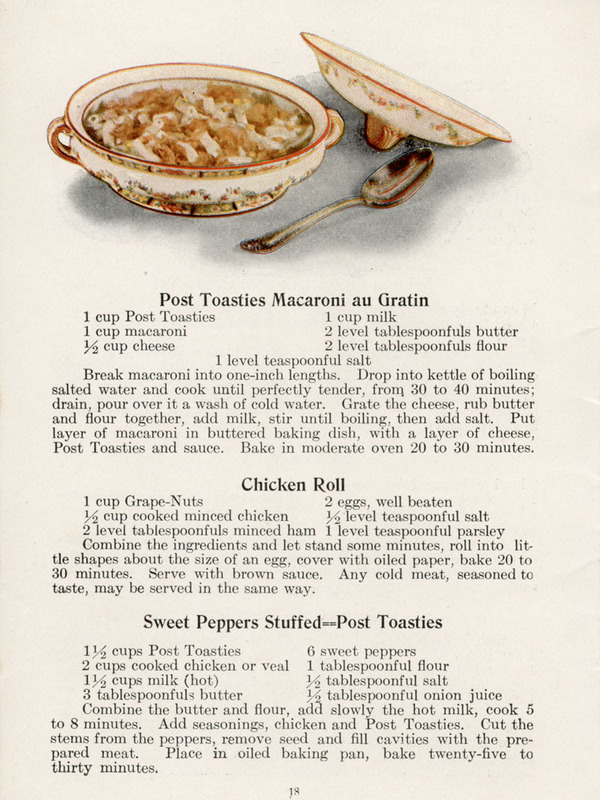 The "Golden Age of Leftovers," according to Veit, were the 1940s and &apos;50s. Some highlights: ham banana rolls with cheese sauce, leftover carrots pureed and then shaped back into carrots, which were an "amazing example of leftovers elevated to art," Veit says. But by the 1960s, Veit says, "Americans were less desperate for calories than they had ever been. And for a lot of Americans, waste became a prerogative of financial security." Eventually, she says, leftovers receded from the "avant-garde of culinary trendiness and became this very second-rate culinary category — something that you might reheat for lunch, but that would never, for example, be served to guests." But now, Veit argues, we&apos;re in a bit of a leftovers renaissance. "Although Americans spend even less on food than they used to (just over 10 percent of our incomes on average), Americans are newly aware of other costs that go into food production." And, she adds, that means we are increasingly unwilling to toss edible food. As for Veit&apos;s own leftovers, she perceives that pot of soup she made over the weekend and finds on Tuesday is "awesome."